crafting with katie: MCT December Stamp Release Blog Hop! Today is the day that you can finally see the full December My Creative Time release! If you just stumbled upon here, you are going to want to start at the beginning, at Emma's blog, where she has a video showcasing the ENTIRE release! 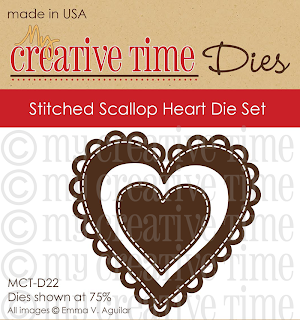 For my card today I used the new Stitched Scallop Heart Die Set. Aren't these hearts gorgeous? I kept this card pretty simple so that the intricate cut of the die would really pop! I cut the hearts out twice in kraft cardstock and once in cream. After cutting one of the kraft sets right down the middle, I arranged the hearts in a row on a kraft card base. 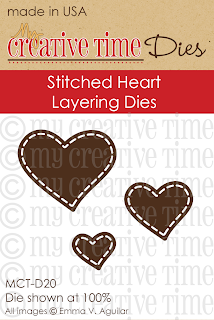 The cream hearts are glued on top of kraft ones, to give them a little more dimension. Before adhering the small heart down, I stamped it with a sentiment from the new Lots of Love stamp set. I just adore the elegant fonts on this one! 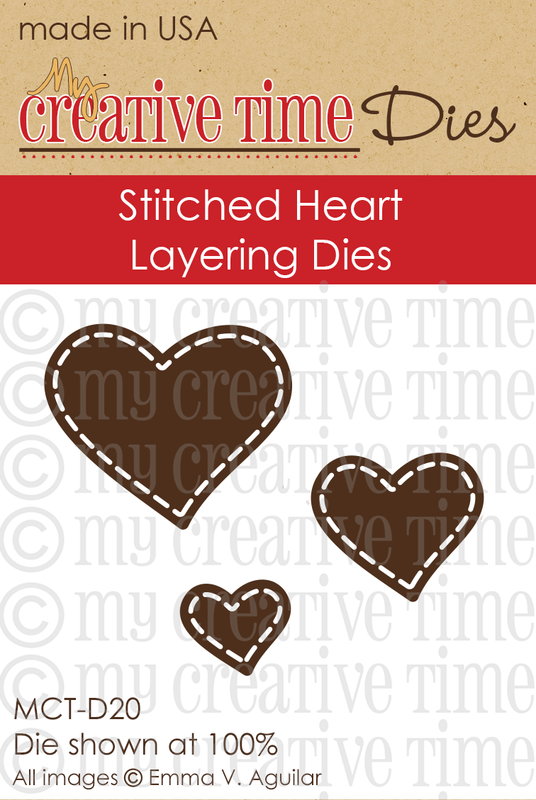 I also added a teeny tiny heart from the new Stitched Heart Layering Dies to give my card a pop of red. It's so easy to make an elegant card with these new products! Here's a peek at the stamp set and the two die sets that I used for this card. They are for purchase NOW, and don't forget that there is a sale going on! 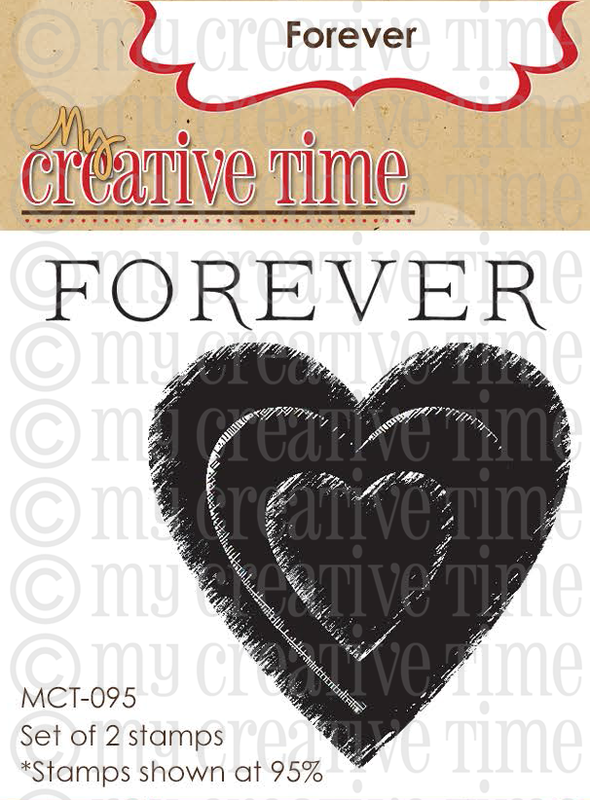 You can use the code NEWYEAR at checkout in the My Creative Time Store to get 20% off your entire purchase! Yes, that is even including ALL of the stamps that are 40% off right now here! This sale will end on Sunday, January 6th @ midnight PST! And, for more fun, Emma designed this special stamp as a "THANK YOU" for all of your support throughout 2012! With all of her ups and downs this year, you were ALL there to support her in any way possible! Emma will FOREVER be grateful to each and every one of you! With that said, she is offering this mini stamp set for FREE to the first 150 shoppers starting at 8 AM PST today. NO SPECIAL CODE is needed. If you are among the first 150 shoppers, you will automatically have it included with your order. ONE per shopper, please. If you miss out on being one of the lucky shoppers who gets this for free, no worries because Emma will be offering it for sale for those of you who "have to have it!" For our blog hop giveaway, there will be two winners chosen from ALL of the comments combined! 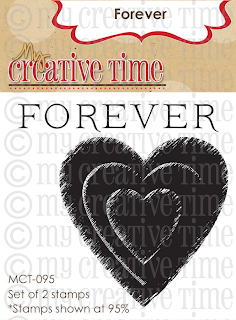 The first winner will have a "GUEST DESIGN SPOT" for our next release, and the second winner will win a $25 GIFT CARD to the My Creative Time Store! All you have to do is leave a comment here along with the rest of the design team's blogs AND also leave a way for us to contact you. Emma will use random.org to pick the lucky winners. All you have to do is leave a comment on all blogs in this hop for more chances to win! The deadline is Sunday, January 6th at midnight. Emma will announce the winners on her blog on Tuesday, January 8th. EASY PEASY! GOOD LUCK!!! EXCELLENT job my sweet friend! Love it! Beautiful card Katie, now that is different and very creative. R U KIDDING ME?! 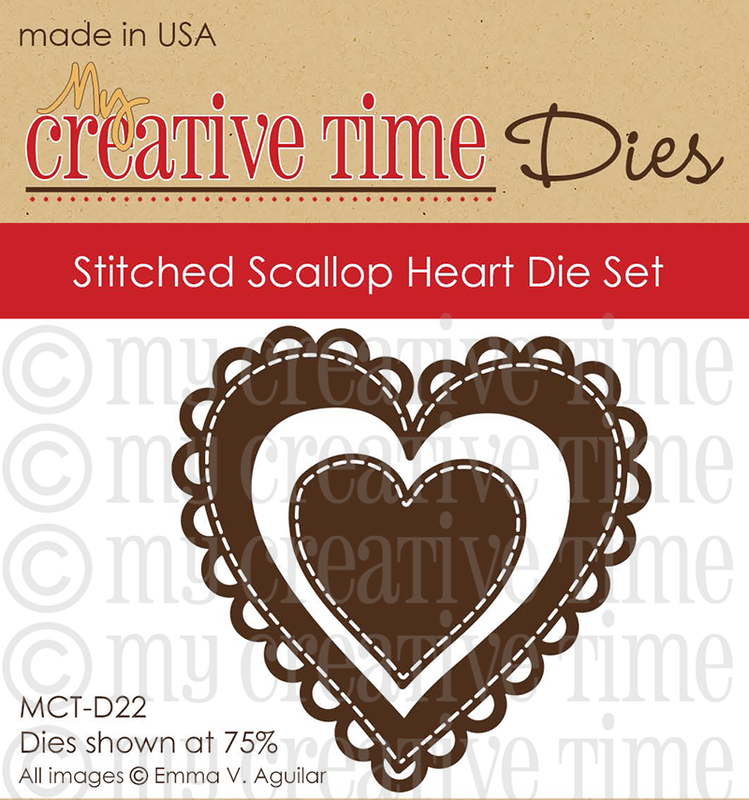 How smart are you to cut that gorgeous heart and use it on the edges of this card! OMG...so amazing. I'm stealing this idea...lol. Thanks for sharing! 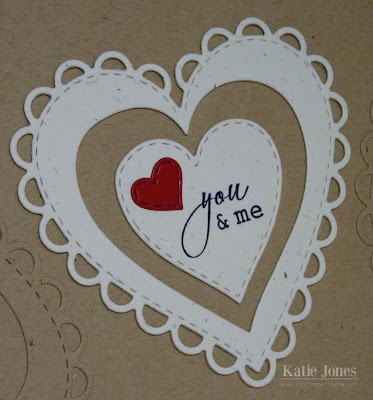 I really like how you added dimension to the card by layering the hearts - what a great idea! What an awesome card Katie! Thanks for sharing. Oh my goodness Miss Katie....I love this card!!! Love the kraft on kraft!!! oh my! this card is beautiful! 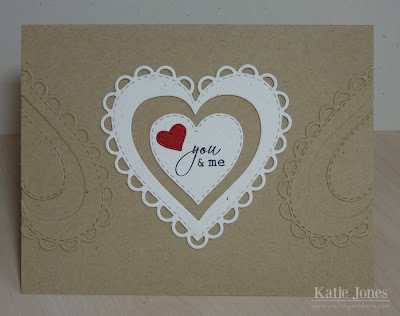 love how subtle the other heart halves are used in the same paper as the card base!!! AWESOME!! love it! thanks for sharing! 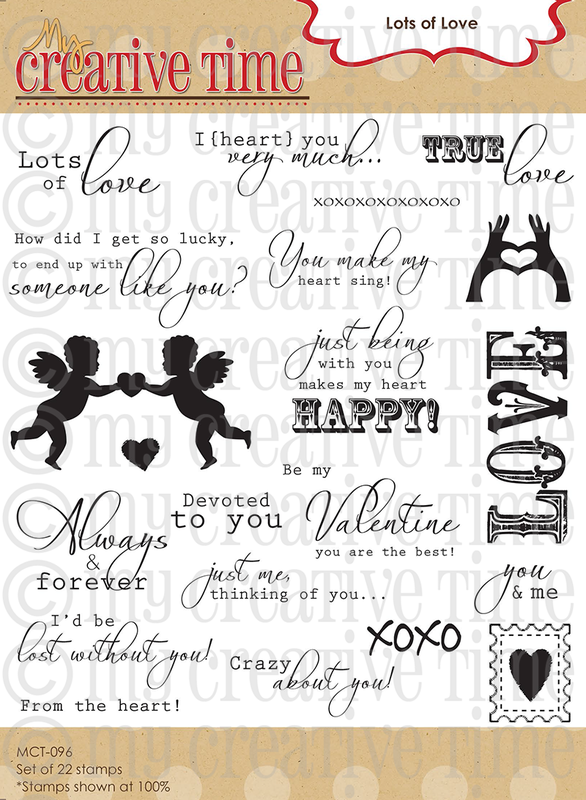 Love your card with the lovely new release! So fab what you did with the hearts...great inspiration! Simply elegant! Love your use of the die. Pretty arrangement and the colors go perfectly. Oh pretty!!! Love the white and kraft and the touch of red really pops. OMGeee! That is sooo pretty! I just love the simplicity! And I love how you did the hearts in the kraft too! Gives it such a subtle and soft dimension. Love it! HAPPY NEW YEAR HUGS!!! Wow, very cool what you did with the kraft heart. Love your card! Oh Katie your card is so very sweet I do think this heart is gorgeous and you did it mighty fine on your your card I love it! VERY pretty! Love the muted color scheme. Looks wonderful! Simple but beautiful! Love this card. What a beautiful and elegant color combo and layout! LOVE it! Such a pretty card! I love it! Awesome card! I love the kraft on kraft! It looks amazing. Beautiful card. I love the look of the kraft heart on the kraft cardstock. Love the card. The craft paper is very attractive. I love your card!! Kraft is my favorite to use for cards! I love how you used both heart dies together! This is so beautiful!! One of my favorites...CAS and on Kraft!!! Beautiful job on your card...the hearts are so beautiful! Clever how you placed them. I think I need to amend my order to include this heart! it is so pretty. Love your card, so elegant. So very elegant! Thanks for sharing! What an awesome idea. Love the design. Love your card. Simple and beautiful. I love you use of the dies on this....My favorite so far! Your card is simply gorgeous. I'll have to scraplift your technique of cutting a die out of the same background paper and then applying it. I really like that look. What a beautiful card! I love how you used the die as a "faux" embossed look, looks fabulous! Loving this release and love that you ladies are show casing it so well! katie, this is amazing. love the tone on tone! have a happy and healthy new year! Katie, your card is lovely! Thank you for sharing your ideas and talent with us, may this new year be prosperous and blessed for you and yours! I love your elegant card!!! 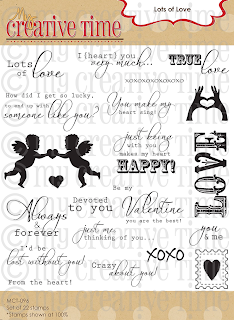 :) Your craft hearts look embossed-what a great idea! Lovely card! I like how you used the kraft cardstock and also used the one die cut in kraft and put it split and upside down to add more texture and interest. TFS! I just love how much the cream and pure poppy really pop off the kraft. I also really love the way you put the products pictures used at the end of your post. Kaite ~ Can you say LOVE!!! What a CUTE and PERFECT way to use these dies! I LOVE the heart right side up and then the 2 hearts that anchor it up side down! The Kraft card stock with the white and a hint of red & black ~ CLASSY!!!! LOVE it! I apologize for just commenting! Happy New Year Sweet friend! Beautiful card! Love the design. Thank you for sharing. Wow what a fun and very elegant card. Love the dies w/ this card - perfect. This is so simple, yet sweet elegant and sweet! I adore the little pop of red! Love this card it is so elegant! !